The Tesla plan was announced just before the official start of the election campaign. The first two stages of the proposal – for 1,100 Housing Trust homes – is apparently locked in with a $2 million grant and a $30 million loan, but the broader third phase is not yet set in stone. Hang on, didn’t you just say that the investment in renewables would push prices up? You can’t have it both ways. The consequences of South Australia’s election result on Saturday will be felt far beyond the state’s borders. It was barely minutes after the SA Liberals – led by Steven Marshall – were declared winners that the federal Coalition began crowing that this was good news for Malcolm Turnbull’s signature policy, the National Energy Guarantee. 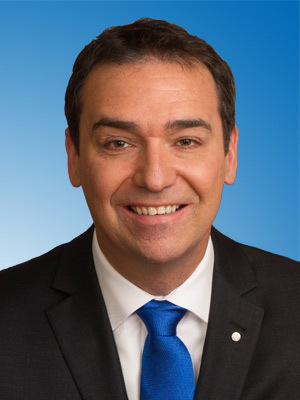 Senator Simon Birmingham said so almost immediately on ABC News 24, and the level of expectation that Marshall should serve as a vassal of the federal Coalition’s policy objectives was repeated by Turnbull, energy minister Josh Frydenberg and finance minister Matthias Cormann. 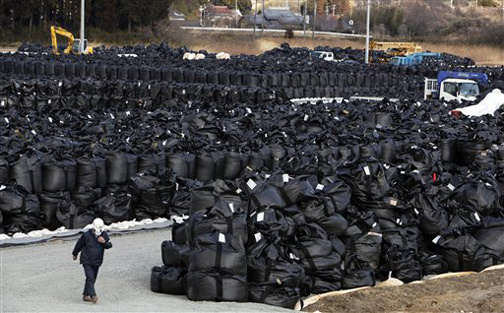 Fukushima likely to be Japan’s permanent nuclear wasteland. The expanse of Fukushima in and around the exclusion zone represents an already contaminated area with, since 2011, far fewer residents to protest against such plans. Such a rare opportunity for relatively unopposed intervention in a desolate area will surely prove irresistible to the nuclear lobby. This month, seven years after the 2011 Fukushima Daiichi reactor meltdowns and explosions that blanketed hundreds of square kilometres of northeastern Japan with radioactive debris, government officials and politicians spoke in hopeful terms about Fukushima’s prosperous future. Nevertheless, perhaps the single most important element of Fukushima’s future remains unspoken: the exclusion zone seems destined to host a repository for Japan’s most hazardous nuclear waste. Japanese officialdom relentlessly emphasises positive messages regarding Fukushima’s short- and medium-term future, prioritising economic development and the gradual return of sceptical evacuees to their newly “remediated” communities. Yet the return rate for the least hard-hit communities is only about 15%. Government proclamations regarding revitalisation of the area in and around the exclusion zone intone about jobs but seem geared ominously toward a future with relatively few humans. Paul Waldon Fight To Stop Nuclear Waste Dump In Flinders Ranges SA Today the 18th of March is another red letter day in the nuclear arena with the 31st anniversary of a accident at Lucas Heights, but first lets jump forward 29 years to the Hawker nuclear community meeting on the 6th of May 2016, where a man named Bruce Wilson from the DIIS whom chaired such meeting, a man who could be a totally inept clairvoyant, a nuclear decision psychopath, a misinformed government payed nuclear spruiker, or just a sad ignorant man. 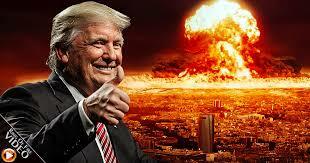 This is a man whom said “We will NOT have accidents” while the opposing dichotomy believes in the old dictum “Pray for the best, prepare for the worst” and the such dichotomy keeps giving a resounding NO to a deadly radioactive dump, which keeps falling on deaf ears of the liars who said they would walk away from a community that doesn’t want to accept it. Now lets return to the anniversary of the 1987 accident where a fire at Lucas Heights nuclear research laboratory resulted in the contamination of two workers and the discharge of radioactive gas into the atmosphere over populated areas. Yes, Bruce this was a accident, however there was an event two years prior to such accident that may be called a purpose when alleged vandals dodged security patrols and smashed a underground pipe, releasing radioactive effluent into river ways. (What was this pipe made of, maybe brittle 2mm plastic?). Hogan, Camille Kadoch, Carl Linvill and Megan O’Reilly of the Regulatory Assistance Project (RAP). American policymakers who are still skeptical can look across the Atlantic, to Germany, for a concrete example of a successful transition away from traditional baseload, the authors note. valuable role for traditional baseload. No study, not even by the US Department of Energy, which examined this issue in an August 2017 Staff Report on Electricity Markets and Reliability, has found evidence that baseload generation is required for reliability. Most studies have found that reliability and least cost are best served by reducing the share of inflexible baseload generation. ‘The Government has conceded the Community Development Programme (CDP) needs a “complete rejigging”. But it has indicated an overhaul will not be fully implemented until July 2019. … ‘Remote work for the dole participants work up to three-times longer than city-based jobseekers to receive Centrelink payments. New analysis suggests the targets contained in the National Energy Guarantee are actually worse than if the government did nothing. Carnegie wins NERA funding to integrate solar PV and storage at the Blacktip Wellhead Platform in the Southern Bonaparte Basin.